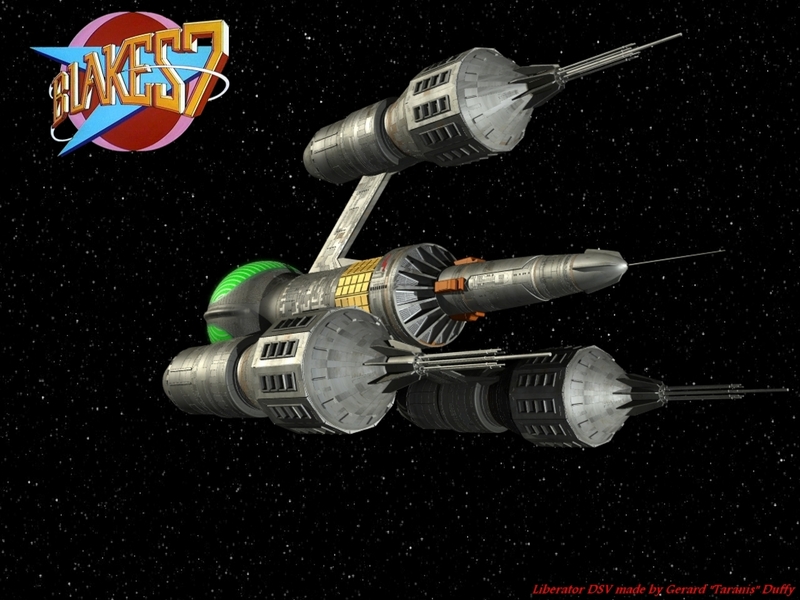 Its been a while since I last rendered with the Liberator from Blake’s 7, but as I like GrahamTG background art so much I though the design would look very well indeed with it. 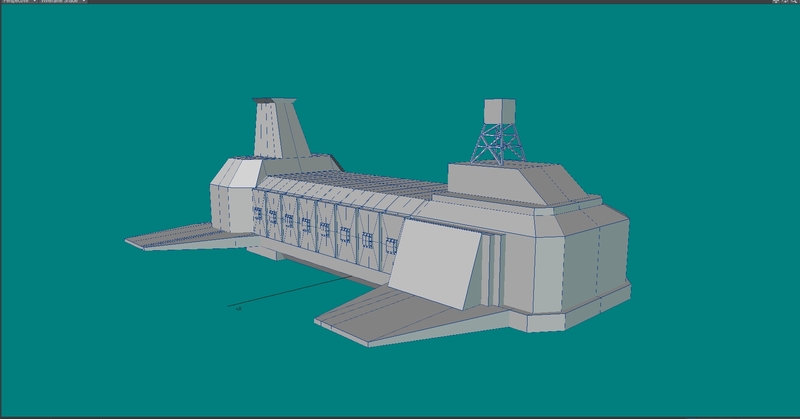 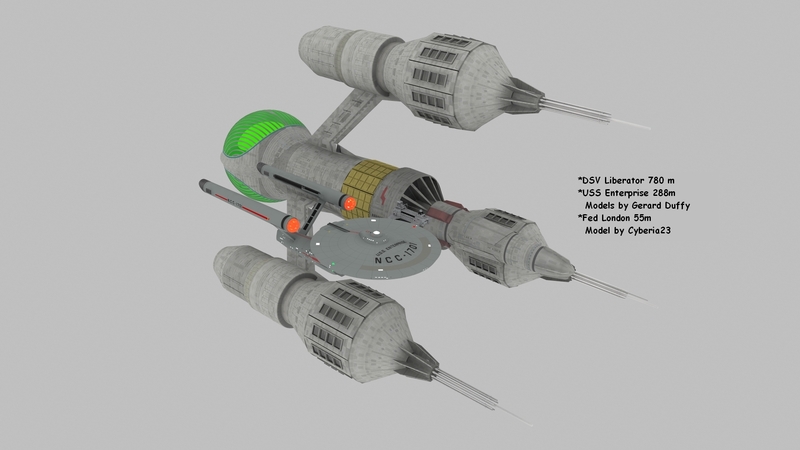 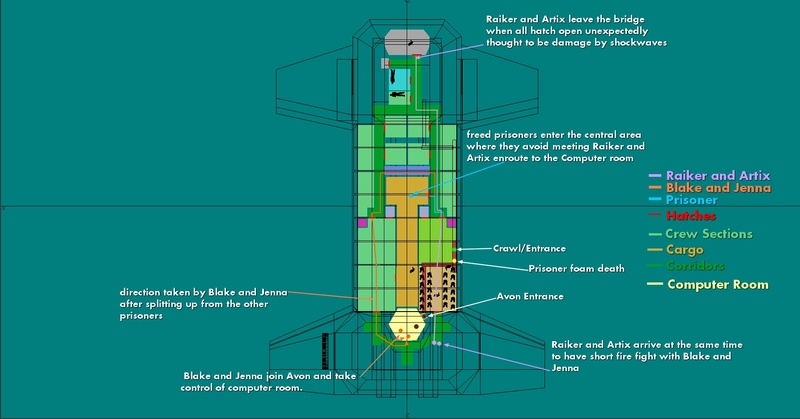 I am still working on the Blake’s 7 designs and namely the London Prison ship, I ended up having to rebuild it after getting some new images from a fellow fan on Facebook “thanks Phil” . 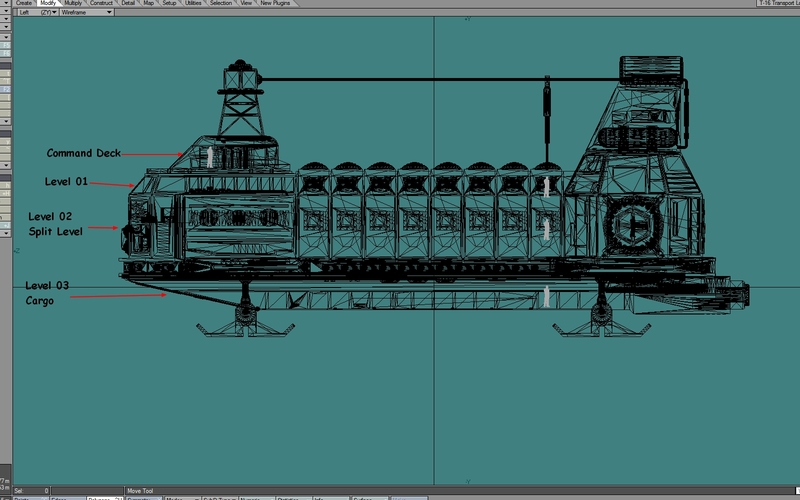 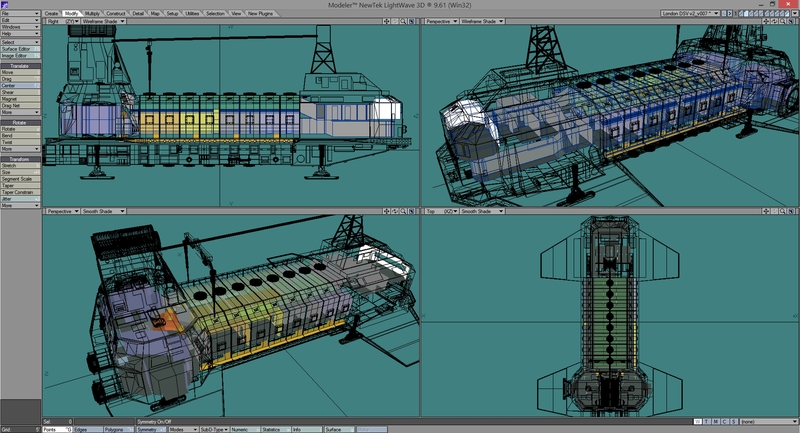 I did some work on the London Landing Gear and I am happy enough with the result. 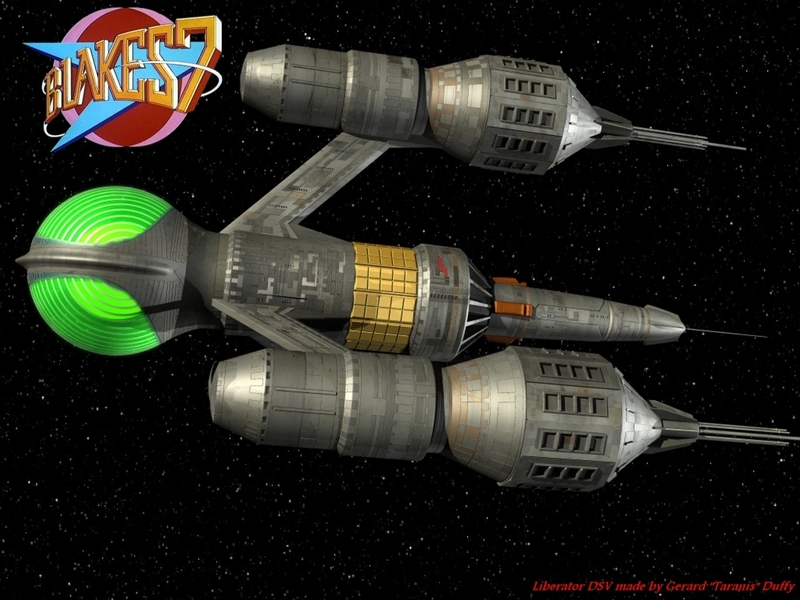 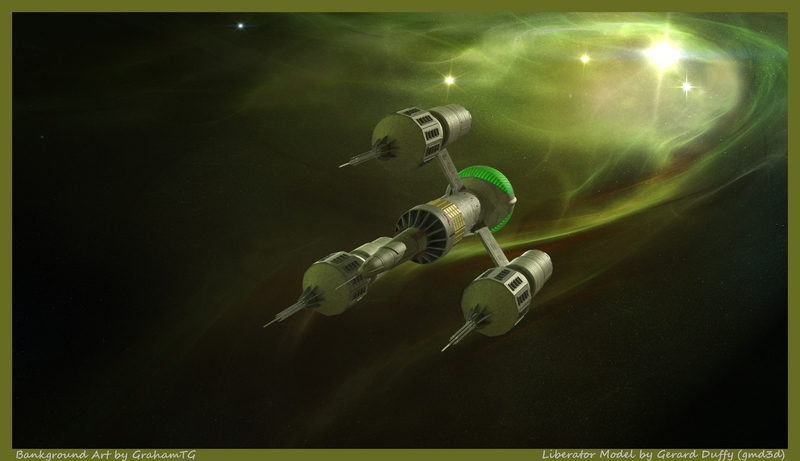 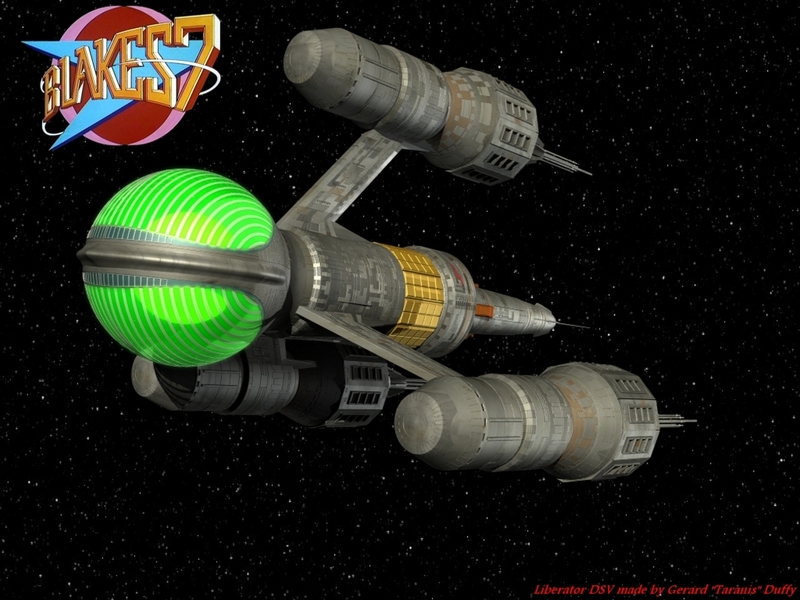 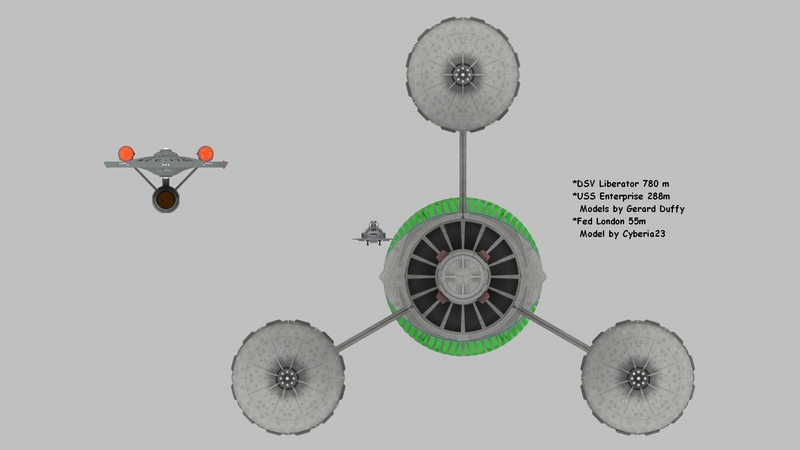 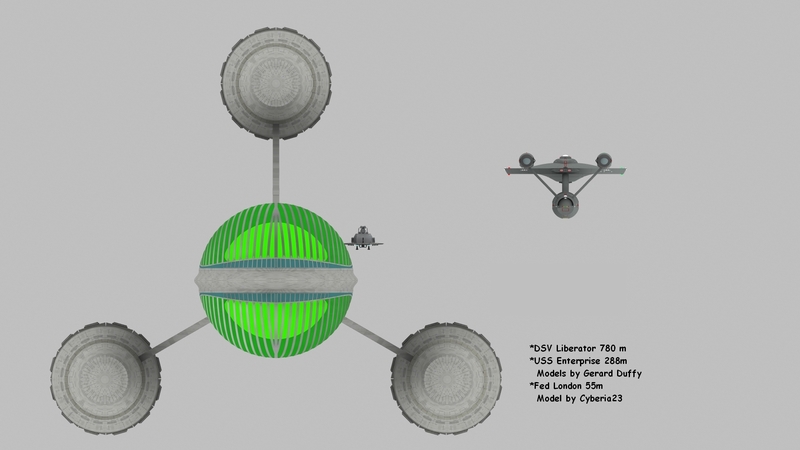 Recently I have returned to an old design favourite, the Liberator DSV or Deep Space Vessel design from the classic BBC TV series Blake’s 7 from 1978. 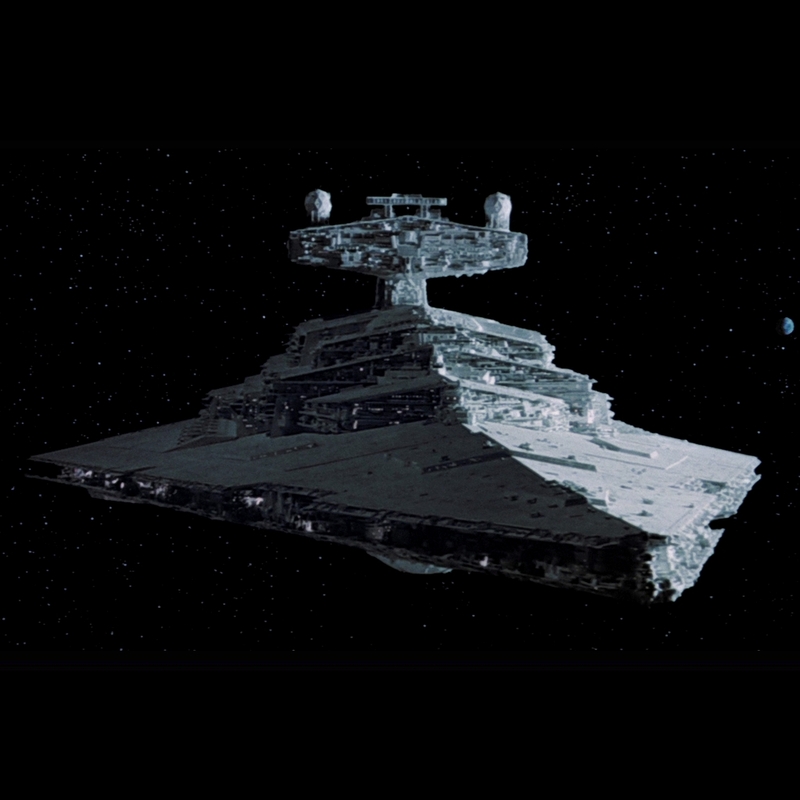 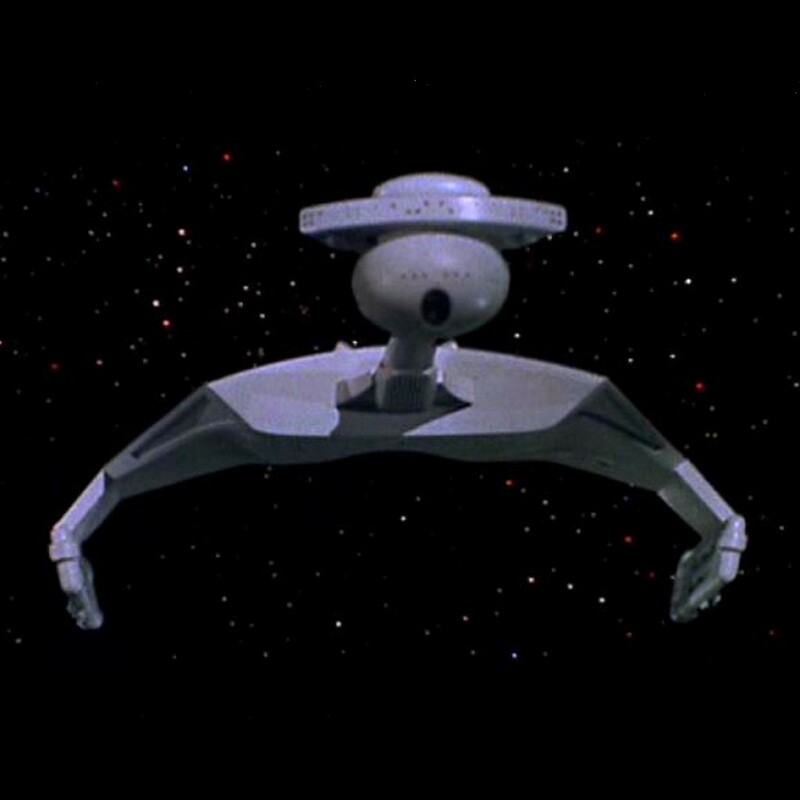 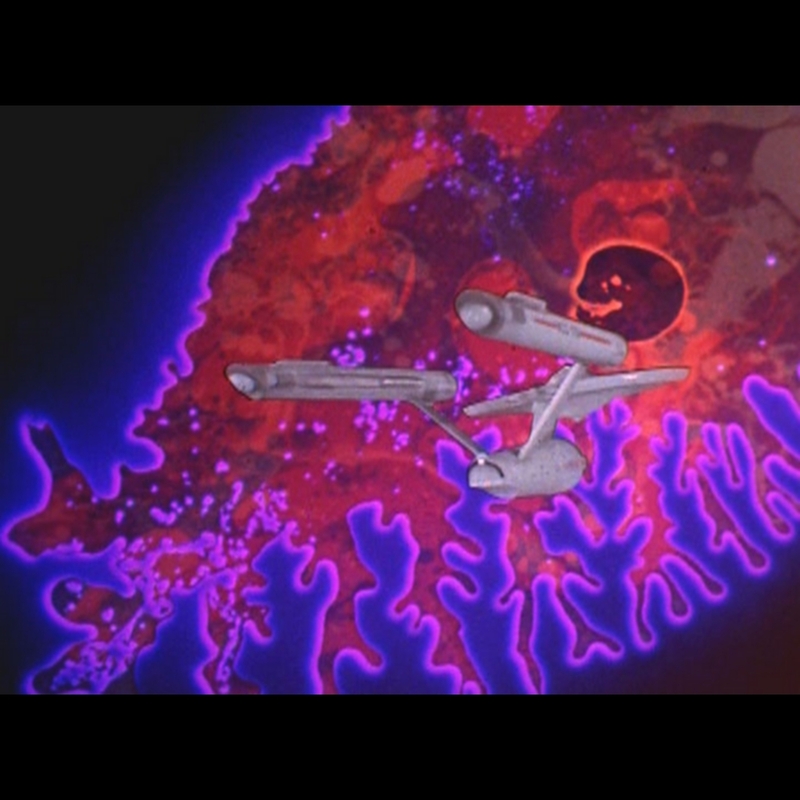 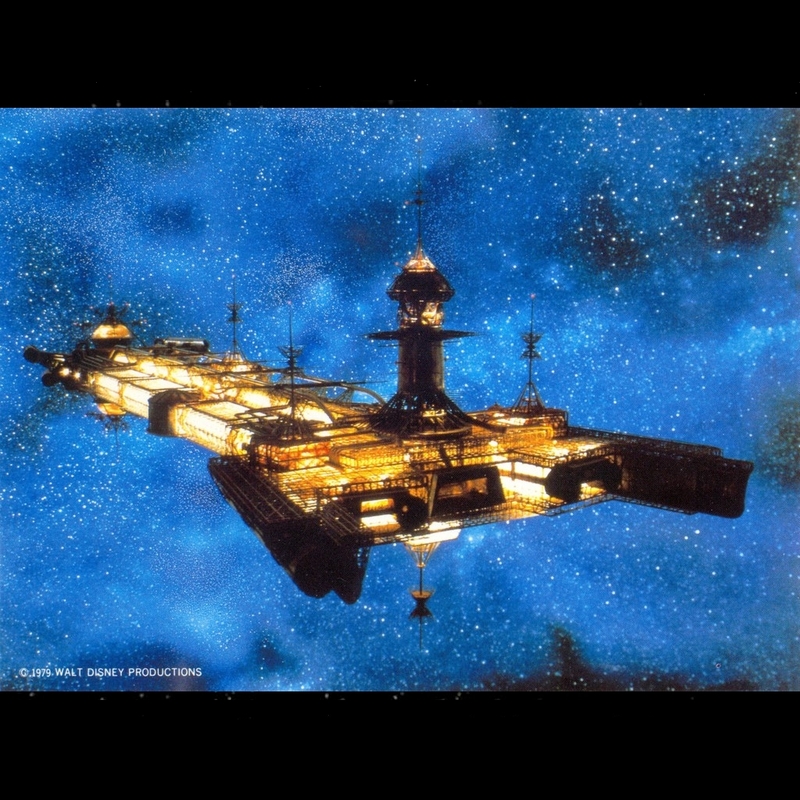 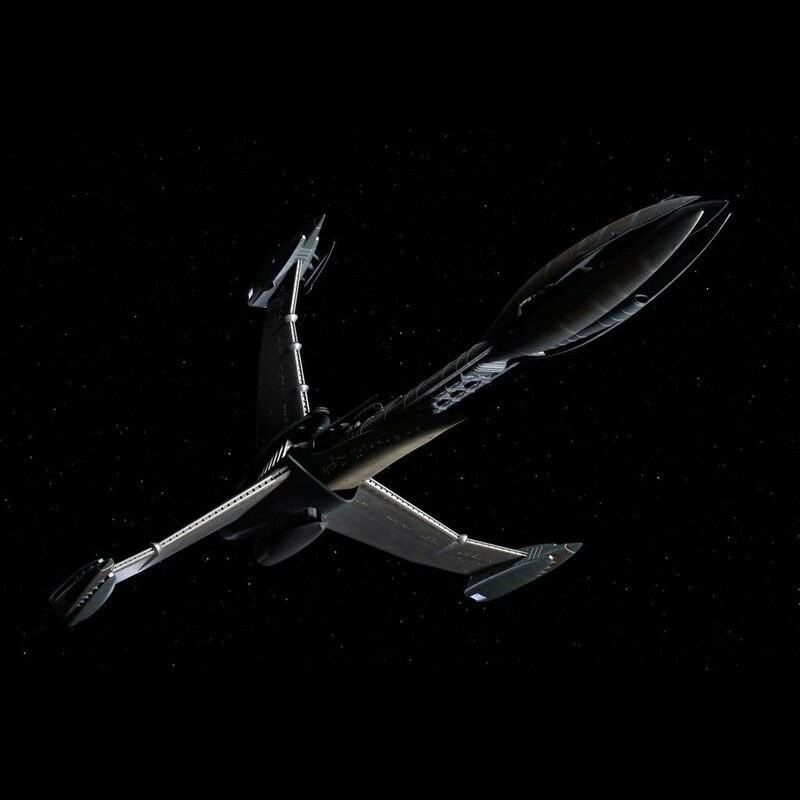 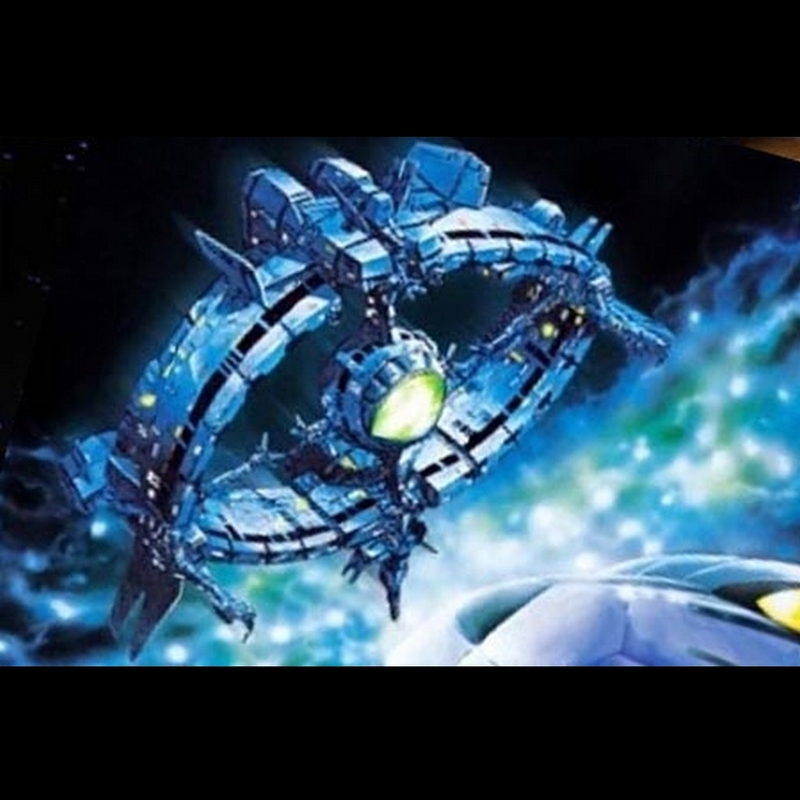 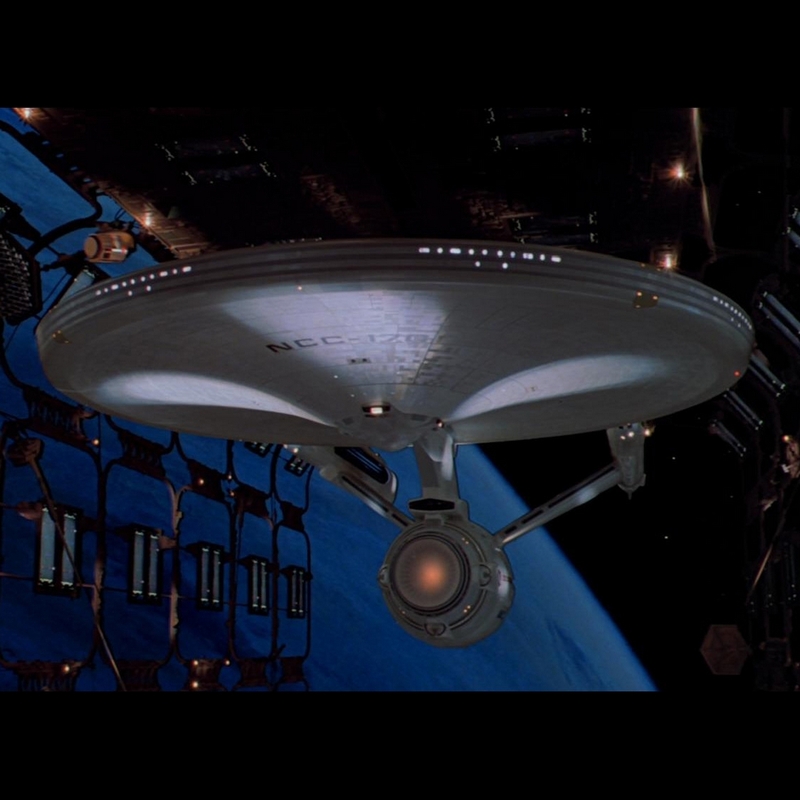 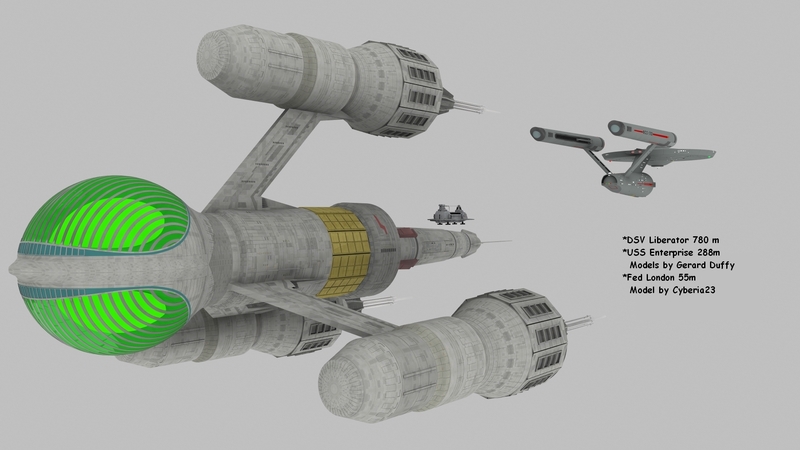 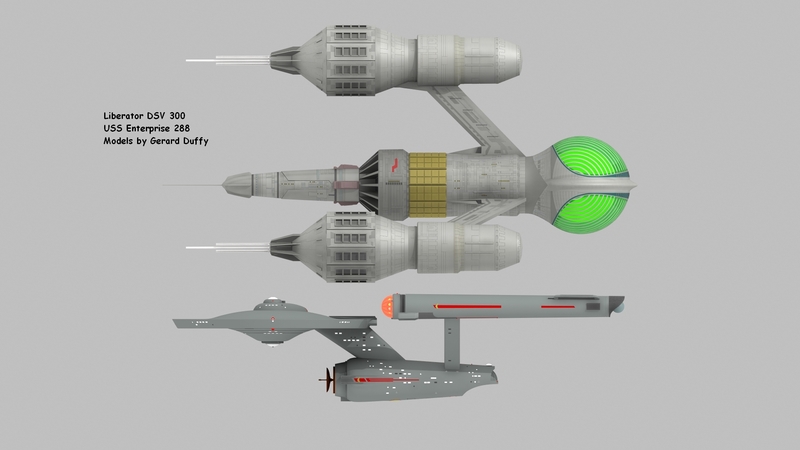 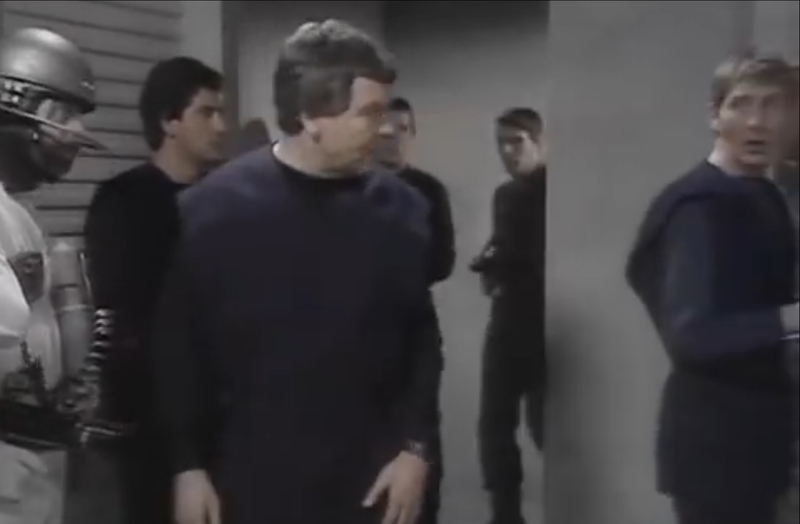 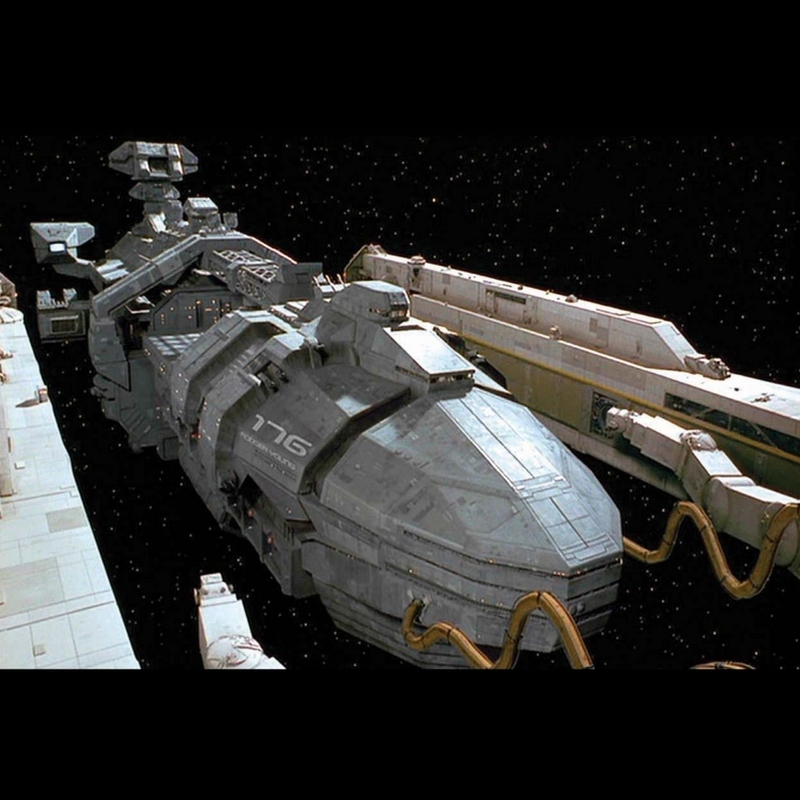 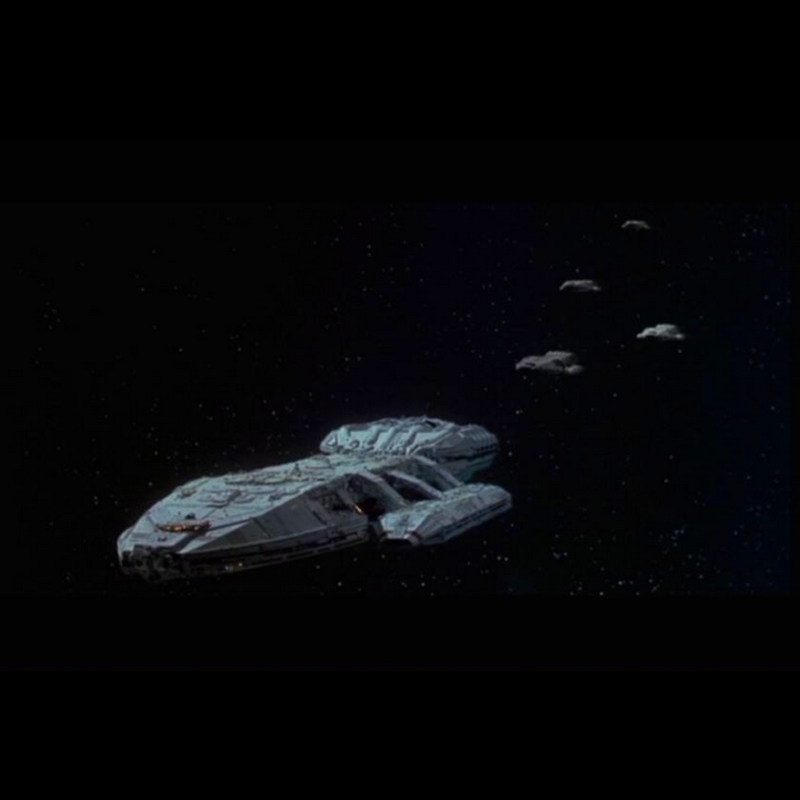 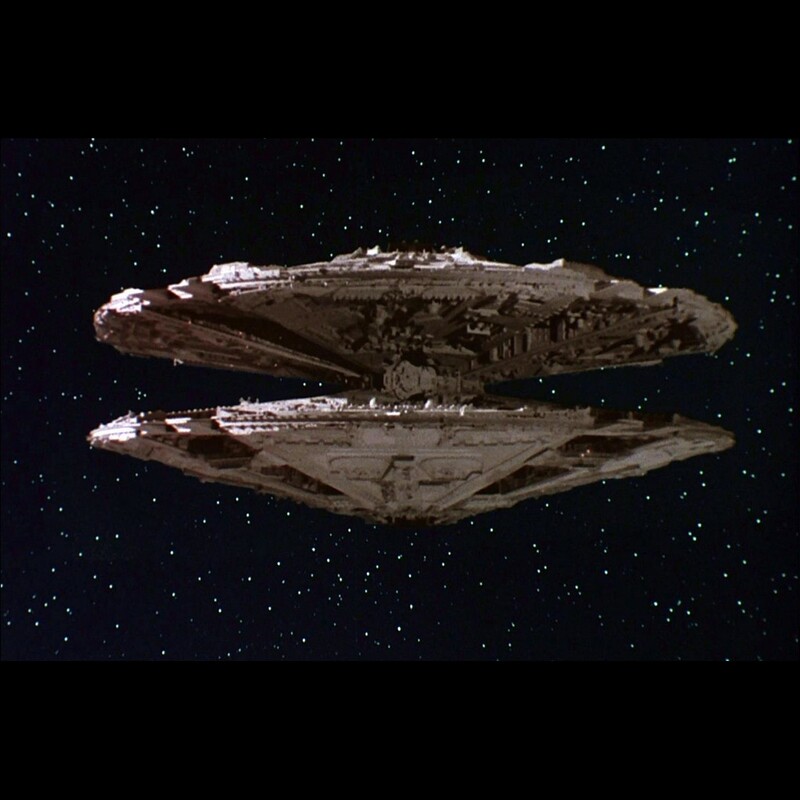 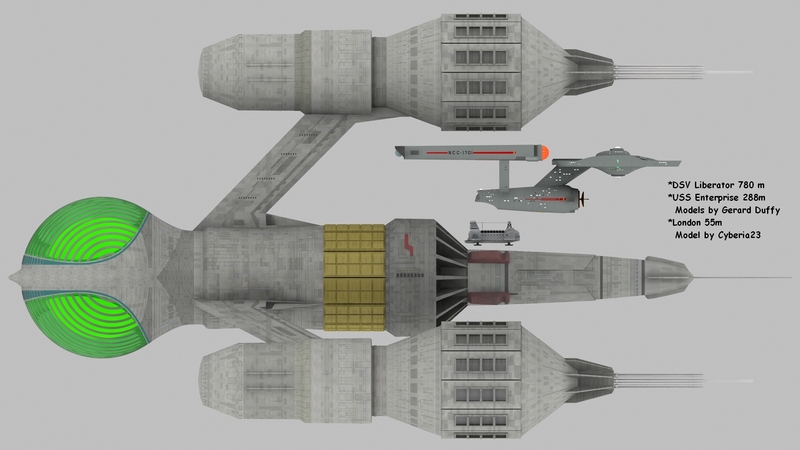 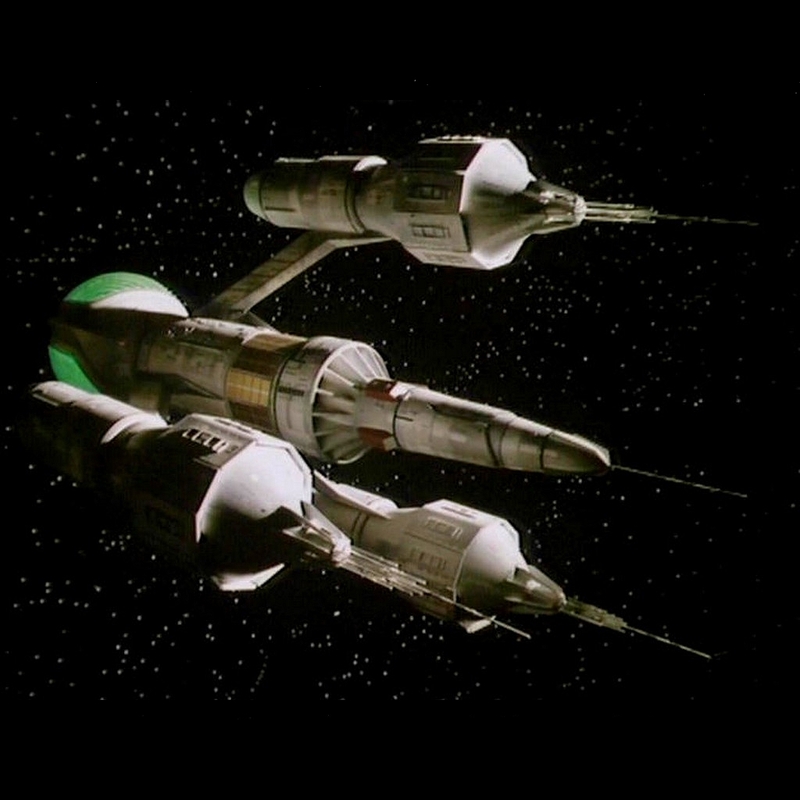 There is, like most TV shows that features space-ships designs, there is a question of scale. 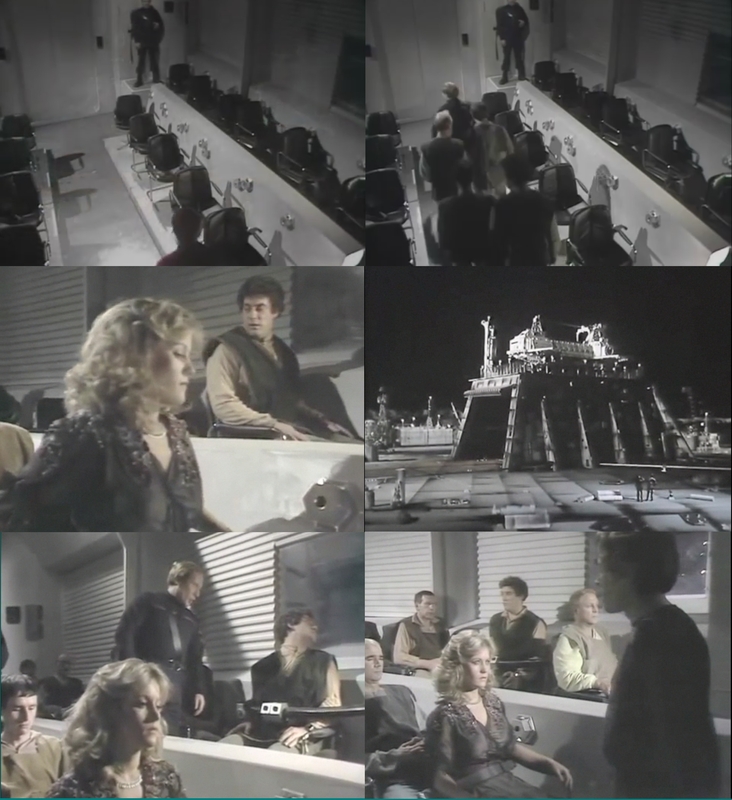 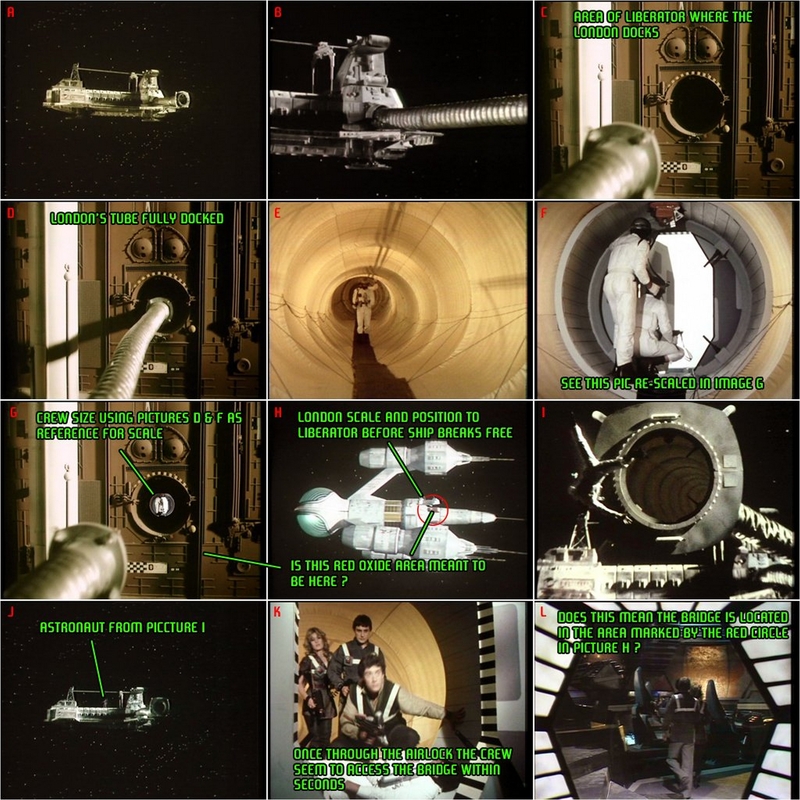 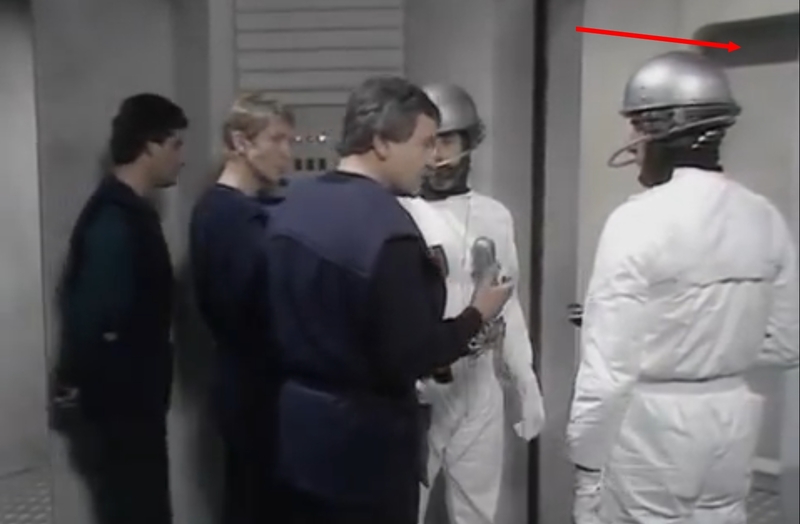 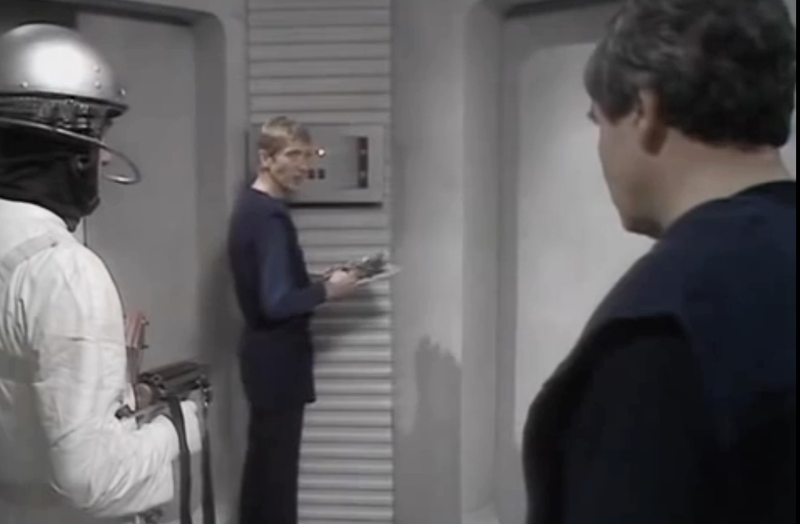 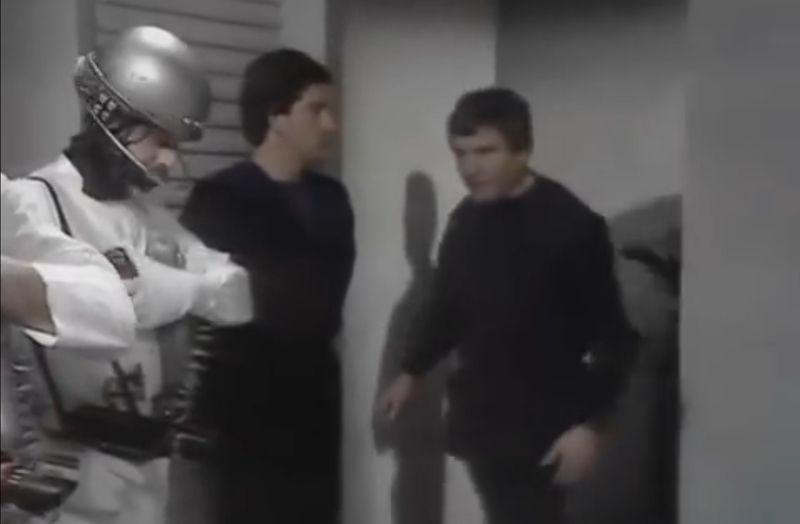 The question was asked on a Facebook group for Blakes’7, so I decided to see if I could work it out for the fun of it, and see what the results could be, again this is all conjecture and its open to debate if its right or not. 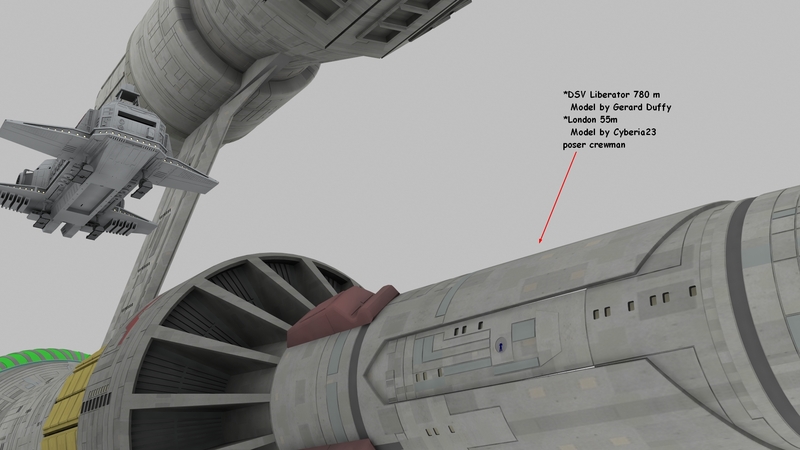 The early guess work and fan imaginations was that the Liberator would be between 300 meters or 1000 meters long, I liked it at the lower end more around 300 meters. 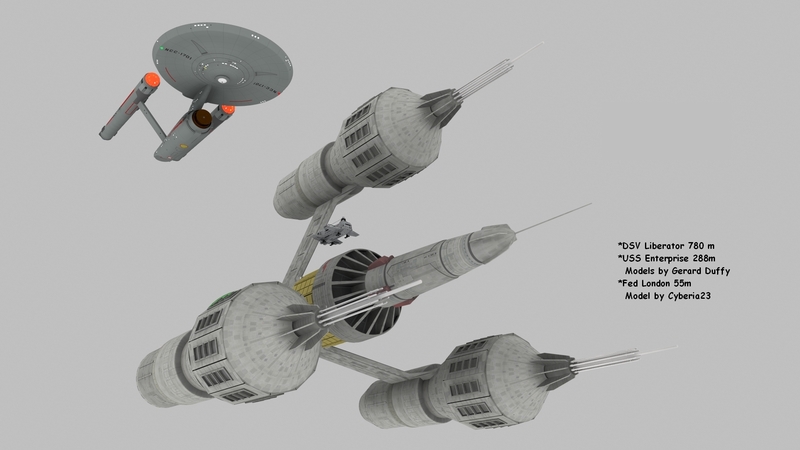 Too help me in this I am also using my own Lightwave3D model of the USS ENTERPRISE NCC – 1701 which I built to scale, the USS Enterprise is around 288 meters or 947 ft long (personally I think it should be larger by another 40 meters or so but I will stay on track with this)..
Also I am using the Civil Administration ship London seen in the first 3 episodes as a reference, it has the one feature too help us, as you see it has an extendible tube to transfer crew from one ship to another, and crewmen along side, if we say the crewmen are 6ft, its a start. 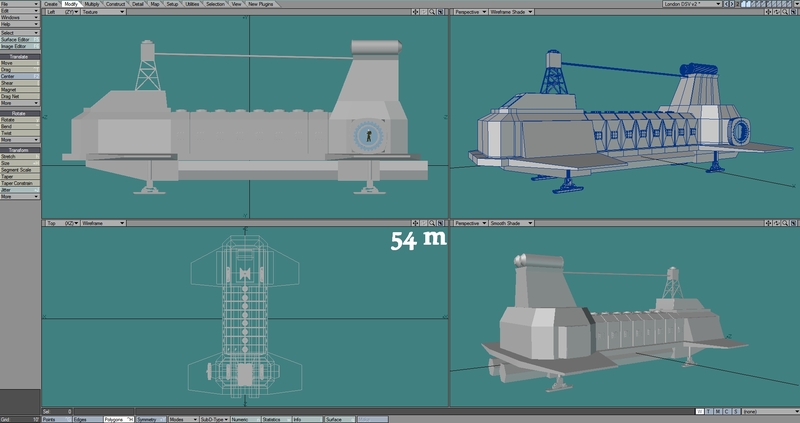 I used a poser character and scale it to 6ft or 1.8288 meters. 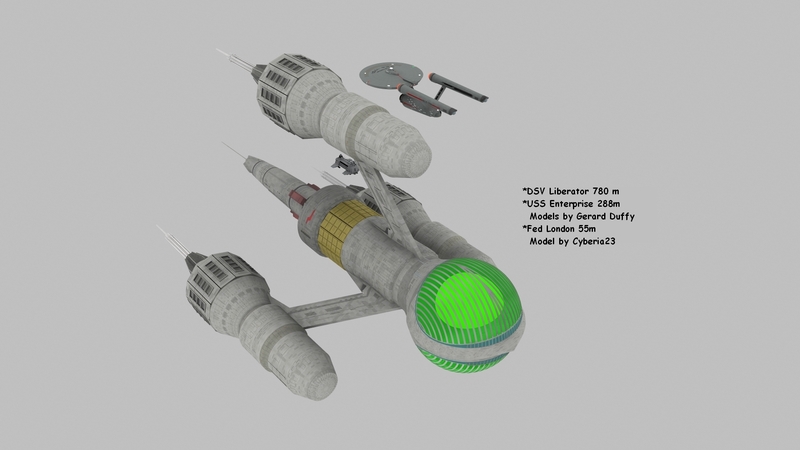 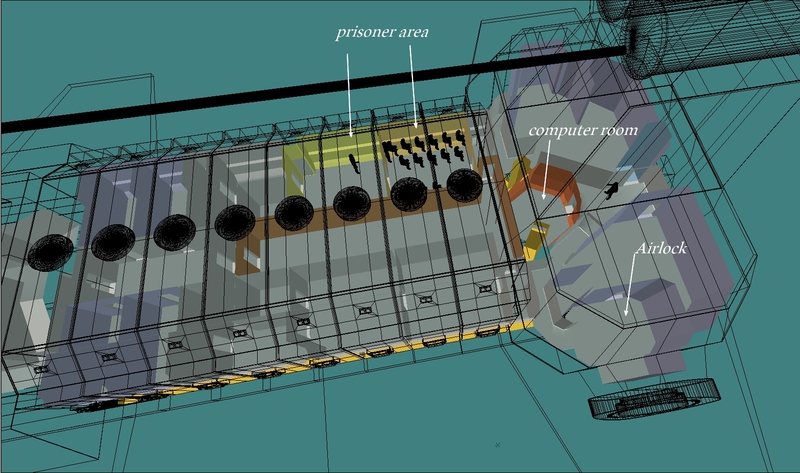 So I set the scale of the Liberator too 300 meters first and was happy with the result, (ignore the windows scale on the Liberator, they were added by me in an attempt to update the look of the design) but as someone pointed out, the Prison-Ship London should be taken into account. 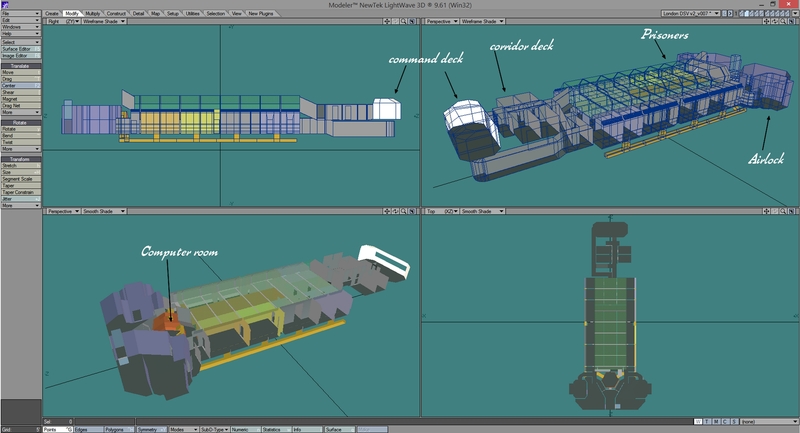 How big is the London, well after a time a friend had converted Cyberia23 Model of the Civil Administration ship London by Cyberia23 to Lightwave3d and seeing what I was doing, sent me the file too help, saving me the trouble of converting it myself. 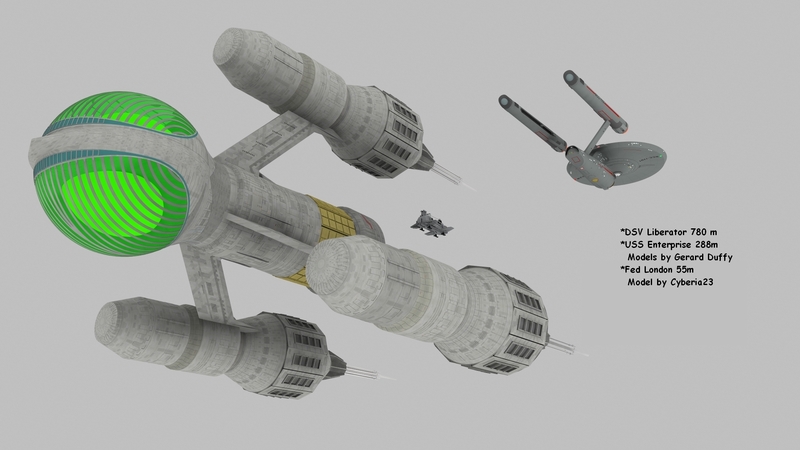 Using the 6ft crewman and a little working out I arrived to the scale of 55 meters long and possibly 4 levels tall, some people did not like the result, but its what I got. 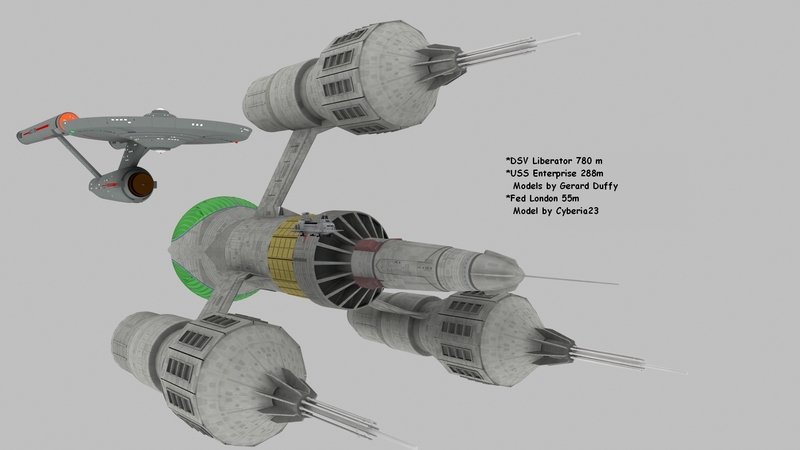 After a little time I found the scale that worked was 780 meters long or 2559.06 ft, which I think is maximum for the Liberator it could be shorter… perhaps 700 meters but I cannot see it reduces more. 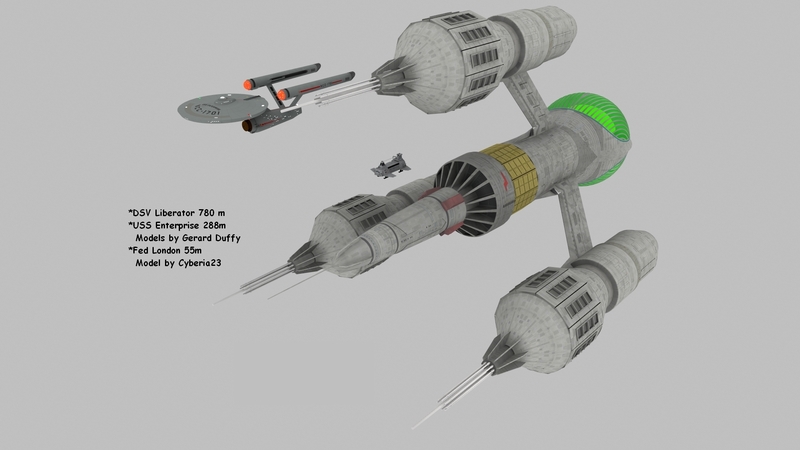 This is the results I got, it is much larger than I expected. 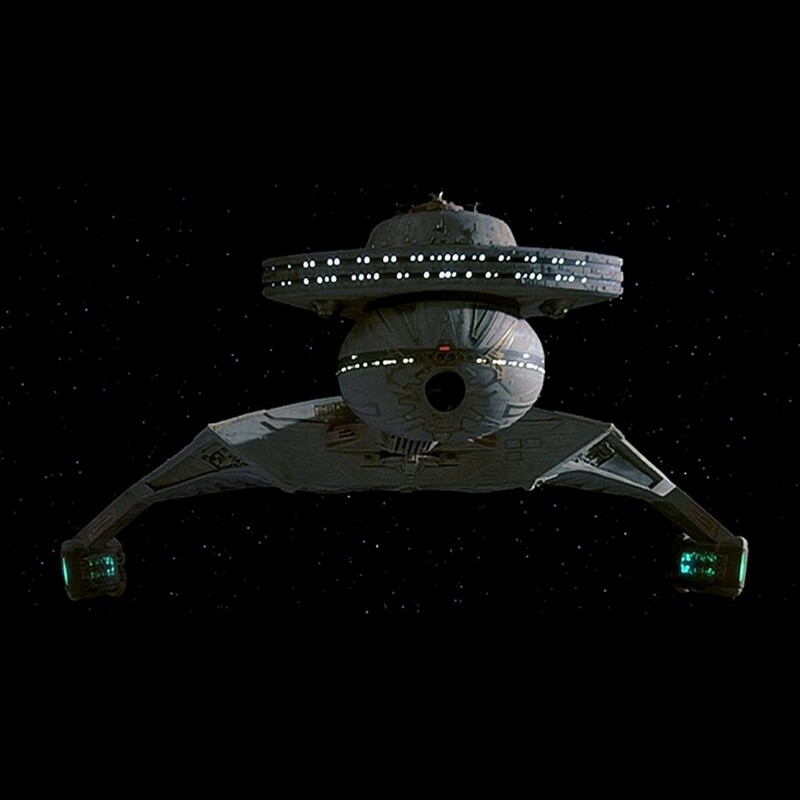 but its is conjecture and could be off by quite a lot.